This is part of a 3-part series of episodes from “Marketing Today”. 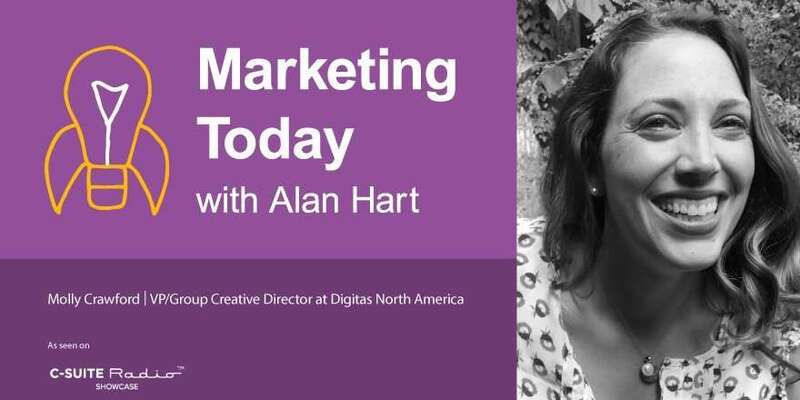 Host Alan Hart interviews Molly Crawford, VP and Creative Director at Digitas Atlanta. In this interview, Alan and Molly discuss strategies for conveying messaging across multiple marketing channels (email, web, social, etc.). They discuss how to utilize modern personalization elements and ways to balance consistent messaging with the features and audience types for different channels. [2:00] – When is it done right? [2:45] – What considerations should creatives be thinking about? [4:20] – How do you balance consistency with each channel’s unique features? [5:35] – What are personalization tactics (in email) that work best? [6:35] – What are pitfalls to be aware of? [7:28] – What advice would you give your younger self? [8:35] – What’s your best (go-to) source of information? [9:20] – What do you love/despise? Cross-channel design is effective when customers have a consistent experience that drives engagement and builds loyalty. It is important to have a content strategy for different channels to define what each channel is doing to benefit the larger marketing message. Personalization is powerful, but we need to know where the line is between being helpful and invasive.